I was thoroughly inspired by the images in this collection. Oh, how I can relate to this poor, tired housewife! And we all need a reminder to just take a deep breath...relax...put it in God's hands. Right? I had some fun just playing with this one. Mists, stickers, stamps, little details...just had a good time. 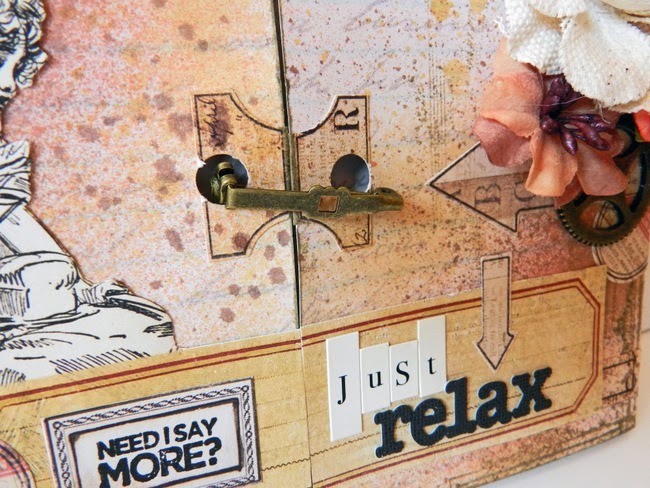 :) And I always love me the chance to do a bit of fussy cutting...this collection is great for that! Fabulous! Love the vintage feel that this has! So awesome Erin!! 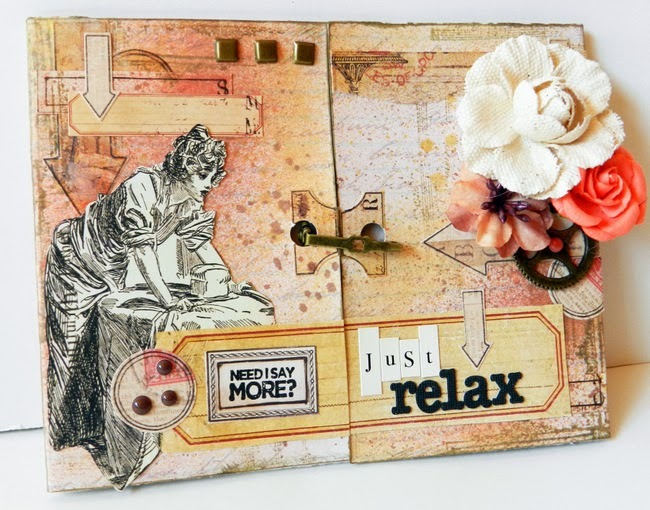 Love the vintage housewife, and the relax sentiment!! We definitely need that!! Such a wonderfuland creative card! This card is awesome, Erin. Love the unique style of it. Oh yes, I am sure we can all relate to the tired housewife - best time to scrap and create... well kind of! Love your card Erin! Fabulous card, and I am sure we are all nodding in agreement at the sentiment on the card! !